These books and publications are all helpful sources for better understanding Whately’s history, historic landscapes and its people. Baldwin, Henry C, Guide to Whately Pottery and The Potters, Whately Massachusetts, 1778 to 1873, Northampton, MA, 1999. Massachusetts Division of Conservation and Resources, Whately Reconnaissance Report, June 2009, also called the Whately Heritage Landscape Inventory Report. Massachusetts Historical Commission, Historic and Archaeological Resources of the Connecticut River Valley, a Framework for Preservation, 1988. Massachusetts Historical Commission, Reconnaissance Survey Town Report: Whatley [sic], 1982. O’Gorman, James F., Connecticut Valley Vernacular, the Vanishing Landscape and Architecture of the New England Tobacco Fields, Philadelphia, 2002. Quonquont Farm, History of Quonquont Farm. Temple, J. H., Town of Whately, Mass., 1660-1871, Boston, MA, 1872. Watkins, Lura Woodside, Early New England Potters and Their Wares, Cambridge, 1950. 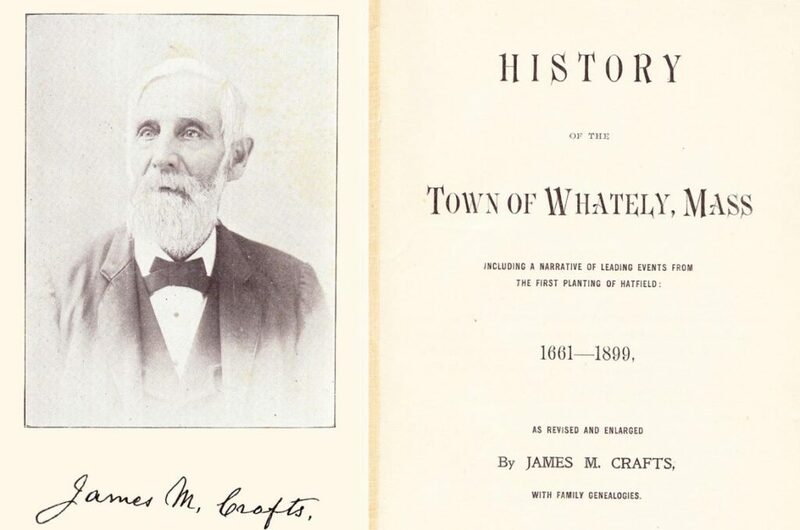 Whately Library Trustees, History of the Whately Library. *Reprinted by and available from the Whately Historical Society.